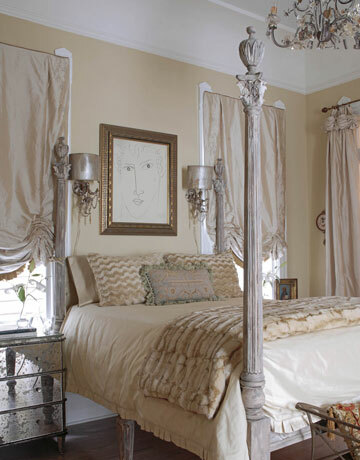 Credit: Kerri McCaffety, House Beautiful, Jan. 2008. Suggested complements: Sorrel Brown, Classic Brown, Navajo White, November Rain. Similar to: Powell Buff, Straw Hat, Dunmore Cream, Monroe Bisque. 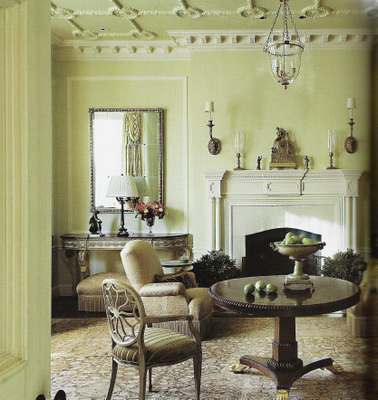 Credit: Eric Piasecki, House Beautiful, March 2008. Collection: Off White and Color Preview. Suggested complements: Westcott Navy, Feather Gray, Silver Spring, Gray Horse. Similar to: Icicle, Cloud White, Paper Mache, Swiss Coffee. barry dixon, beaux arts, benjamin moore, decorating, design, greenmount silk, historical, interior, living room, paint, paint colors, washington d.c.
Credit: Edward Addeo, Barry Dixon Interiors. Cream with traces of yellowish-green. Trim in the photo above is New White by Farrow & Ball. Suggested complements: Dill Weed, Bittersweet Chocolate, Mineral Alloy, Gemstone. Similar to: Norfolk Cream, Hawthorne Green, Natural Beech, Swans Mill Cream.